Obviously, this is not the best time to write this kind of letter but I feel compelled to do so after reading a profoundly flawed and unscientific analysis of your chances in 2020 if your party elect you as its Presidential Candidate. From the outset, I wish to state that I have voted for the NPP on five occasions and voted for the NDC on two occasions. The pattern are as follows: 1992 for Professor Adu Boahen; and 1996, 2000, and 2004 for the Gentle Giant, Mr J.A. Kufour, all of the NPP. However, in 2008 I voted for the late John Evans Atta Mills because I was fed up with the corruption under the then NPP administration. Subsequently I have alternated my votes in 2012 and 2016. His Excellency, even though my voting pattern captures me as floating voter, I am an active floating voter who believes in Harold Laswell’s definition of politics, “Who gets what, when and how.” Therefore, like many floating voters out there, I decide to participate and never decline to vote particularly in Presidential elections in order to tilt the scales in favour of the preferred candidate of floating voters – we may not be many (5 – 8%) but we are the most powerful voters just because none of the two leading political parties have manged to enlarge its base beyond the constitutionally mandated 50%+1 vote. We believe by voting as floating voters, “we decide who gets what, when and how.” This is a duty I uphold dearly. Every so often our determination to vote out a President has been based on bad governance. This is because bad governance is increasingly being regarded as one of the root causes of evil and suffering within our societies and it offends Harold Laswell’s definition of politics in many dimensions. It is the complete opposite of good governance and it involves abuse of human rights, nepotism, corruption, lack of transparency, lack of responsiveness and lack of accountability. Your Excellency, compared to the debilitating and shambolic governance style of President Akufo-addo, I am of the considered view that you must aim to improve on your standard set between 2012 – 2016 and not to see the status quo which is filled with nepotism, corruption, insecurity, hardships and incompetence and arrogance as a yardstick. For example, when President Akufo-Addo crowded his government with his cousins, daughters, in-laws, townsmen and clansmen I was shocked that many otherwise respected opinion leaders including those who wrongfully accused you of practicing family and friends government, did not see what was wrong with it. On this I equally stand guilty as charged. My checks reveal that Madam Joyce Bawa was the only family member in your government. President Akufo-Addo is the first Ghanaian President to make nepotism an official policy. He has loaded his kitchen cabinet and various prominent ministries and other state agencies with his family members and friends. Are these ills the standard the said writer wants us to measure you with? Mr Mahama, if your aim is just to prove that you’re better than His Excellency President Akufo-Addo, then please many Ghanaians have already come to that conclusion. Therefore don’t waste our time running for office again. But if you seek to improve on your performance then your bid could be a viable bid in 2020. Personally, I believe Ghana deserve better; and because Ghana deserve better, we shall judge our next President not based on the lowest standards of the Nana Akufo-Addo government but based on a higher standard. Mr Mahama, your standard in office was certainly far higher than the status quo but not sufficient to deal with the entrenched challenges of Ghana. His Excellency, note that the call for your return is a national call by Ghanaians, it goes beyond your party’s walls. Ghanaians are yearning for your return or the return of a better alternative to the NPP in just two years after you left office. The reversal of your achievements is visible in all sectors of our economy – as the vibrant economy you left behind in January 2017 is today in great jeopardy with its attendant hardships and sufferings. Your exit from office has proven once again, vividly though since the days of Dr Kwame Nkrumah that propaganda can only mask the truth in the short term. Propaganda cannot destroy the truth in the medium to long term. No matter what the transducers say, the fact remains that you were an exceptional President by many standards. Now is the time to re-affirm this and to invite a more dispassionate reappraisal of the facts, away from what the parties preached on the campaign platforms in 2016. Many Ghanaian floating voters in particular have seen the light and can no longer be bothered by the propagandist tagging that that anyone showing disappointment in the NPP government and defending your legacies is an NDC contractor. We have done same for the NPP in several elections including the 2016 elections and same will be done for you and the and the NDC IN 2020, on condition that you assure Ghanaians your aim is to improve on your high standards and not to use Akufo-Addo’s low standard as the yardstick. His Excellency, the writer of the said article killed his own analysis with the points he raised in his open letter. You and the rest of the other aspirants in the NDC primaries are incomparable in terms of accomplishment in politics. In terms of corporate experience, you have more to show than your opponents. I am not a member of your party so will not waste my time discussing your internal issues. Also, the writer blasphemed by using the Akufo-Addo standard to assess your government’s performance. Today, against all my aversion towards the Ghanaian politician and our politics, I am constrained to admire you because of what I am witnessing under the current administration. $12 million Oslo gate scandal in which the price of the embassy building had been bloated. Indeed, corruption has been institutionalised in this administration and this President continues to cover corrupt officials in his government. Under your administration a deputy minister was dismissed just for making a statement you deemed unethical, you arraigned your party people and comrades before the court over corruption issues and you made sure ministers resigned over conducts you deemed wrong – not under Akufo-Addo.  A cursory read of Transparency International’s report on corruption in Ghana shows Ghana dropped 11 places from the 2016 ranking to place 81 out 180 countries on the 2017 corruption perception Index. Is this the standard the writer is assessing you with? 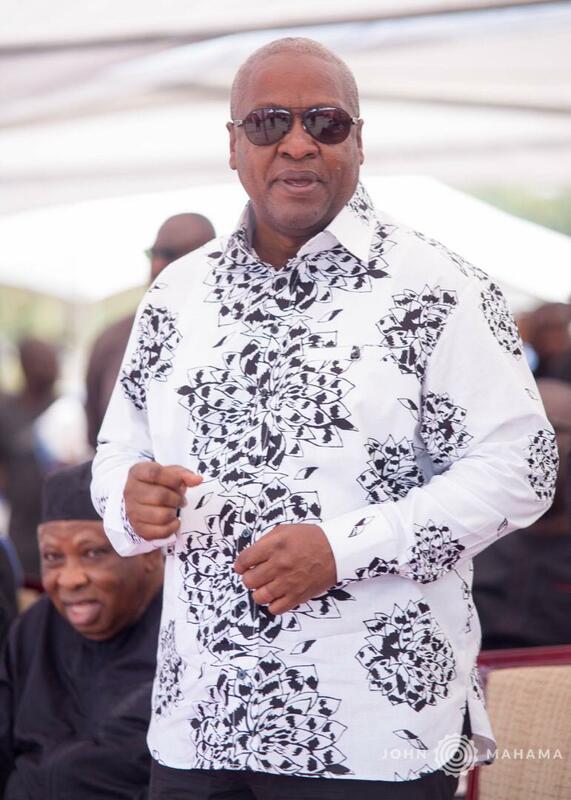  Mr Mahama, you appointed 84 ministers as against the 111 ministers by your successor (Nana Akufo-Addo) but efficiently and timeously achieved a lot within your first two years notwithstanding the eight months long presidential election petition which slowed down growth.  This government has borrowed over Ghc 50 billion but cannot point to one major project executed from it.  Under your administration, Ghanaians enjoyed freedom of speech, association and right to hold dissenting views including organising and partaking in protest against unwelcome government policies. All these are no go areas today. Mr Franklin Cudjoe, Lawyer Kofi Bentil, Mr bright Simons, Mr Anas Aremeyaw Anas, the late Ahmed H. Suale and many others who constantly criticise your administration are having it tough under this administration and have openly complained about the emerging culture of silence and suppression of dissent. Life has become worthless and uncertain and people cannot speak out for fear of being labelled anti-government or being eliminated. This is not what we voted.  Many Ghanaians have lost their jobs in the last two years.  Banks are collapsing, businesses are collapsing and companies are laying off workers.  Under your administration, Ghana was a magnet for investment and was rated the number one destination for foreign direct investment and the best place for doing business by reputable global organisations. We are losing all these great achievements we recorded under your watch. The Akufo-Addo administration with such an abysmal job record must not be used as the standard to assess your administration. Neither must it be used as a yardstick for future governance. We don’t expect 111 ministers in 2021 and neither do we expect a family and friends’ nepotistic government that is swimming in corruption. Mr Mahama, I pray the Almighty God to bless you with good health and many more years of service to our motherland, Africa, and the world in general; for if the enumerated achievements represent incompetence, then I will this time vote for you once your party presents you in December 2020.